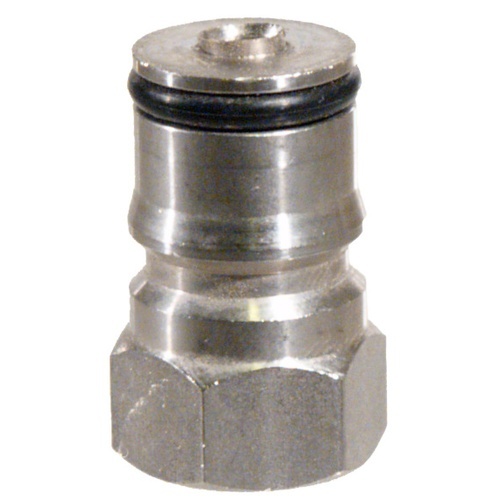 This is a great replacement part for an old or previously used keg, or to repair a leaky body connect. A brand new beverage out body connect for ball-lock style kegs. Includes the poppet and an o-ring, as pictured. 19/32", 18 pitch threads. Fits Cornelius Spartan & Super Champion kegs, possibly others as well. Use a 11/16" deep socket to install.